I thought I would share a great deal that I've been taking advantage of so others could take part, too! In this quarter's The Whole Deal, that is put out by Whole Foods, there is a coupon for $1.50 off two Luna bars. That means you get two for $.50! That's a great deal! Luna bars are normally priced. $.99. 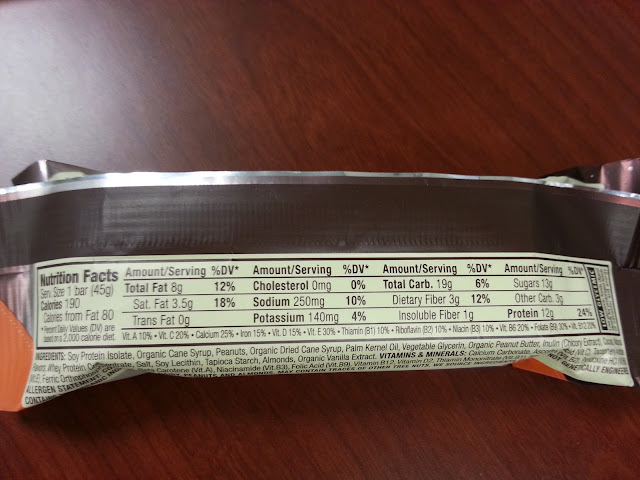 A bar that provides 12 grams of protein for a quarter?! Can't pass on those deals! 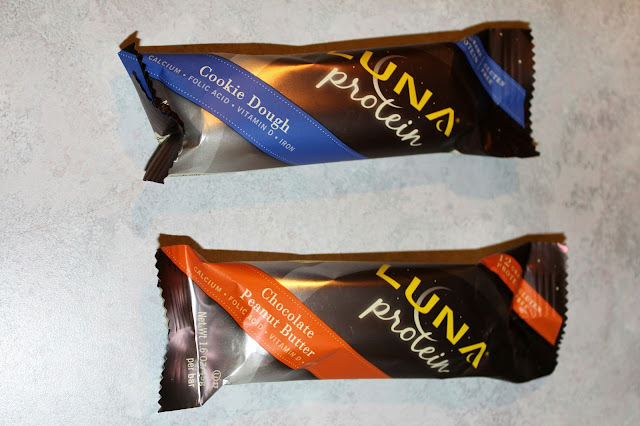 I first tried the Luna protein bars back in October when I received one in my Foodie Pen Pal package. I loved them! And I am usually not a fan of health bars. The only other kinds I enjoy are Clif, Mojo and Clif Z bars. Luna is actually a part of the Clif family. Do your foods contain genetically modified ingredients? Clif Bar & Company is committed to sourcing ingredients that are not genetically engineered in all of our products. We have stringent protocols for GMOs which includes requiring affidavits from ingredient suppliers demonstrating they can meet our non-GMO requirements. Many Clif ingredients are organic which by Certified Organic Standards in the U.S. means that ingredients are sourced from non-GMO. These ingredients are accompanied by an organic certification. Any conventional ingredient also is shipped to us with an affidavit to ensure the ingredient meets our non-GMO requirements. Another coupon that I've been using is one for $.50 off one MoJo bar. That makes one bar half off the original price of $.99. An organic health bar for $.50! Can't beat that! Every time I go into the store I take advantage of these two deals. And the last two times I've went into the store, I've gone straight to the bars, paid, and left. I was in the area for other errands so jumped into Whole Foods, too, to scoop up a few bars. I just tear the coupons out of the booklets when I walk into the store. Totally worth the five minute stop, especially when I'm at that strip mall anyway. The coupon doesn't expire until late March so you still have plenty of time to take advantage!